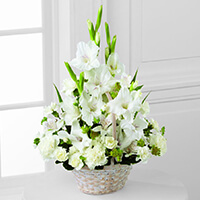 Edward Moriarty Service Details - Mount Laurel, New Jersey | Mount Laurel Home for Funerals, Inc.
"We hope this will help ease the pain of your loss!" 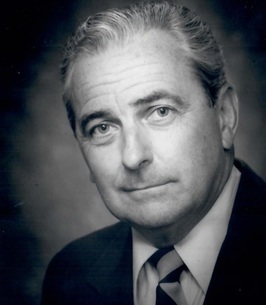 Edward Thomas Moriarty, age 89, of Mount Laurel, NJ passed away while surrounded by loving family on Friday, November 9, 2018. Mr. Moriarty was born in Somerset, MA and raised in Metuchen, NJ. He went on to raise his own family in Cherry Hill, NJ before moving to Mount Laurel 21 years ago. Edward served his country honorably in the US Marine Corps and was a member of the Knights of Columbus. In his leisure, he enjoyed watching his sons play baseball and loved to play golf. But above all else, he cherished time spent with family and will be deeply missed by those he leaves behind. Edward, the devoted son of Timothy Sr and Cecelia (nee Dyer), was predeceased by his parents, his loving brothers Timothy Jr and William, and his dear sister Mary Lou Muchanic. Edward is survived by his loving wife, Irene Moriarty (nee Pelletier); devoted children Eileen Mohrfeld (Fred), Edward Moriarty (Nathalie), Susan Civitillo (John), Kevin Moriarty, Michael Moriarty (Nancy); cherished grandchildren Cameron, Cecily, Edward, Sophia, James, John, Anna, Kevin, Caroline, Erin, Cole; dear sister-in-law Yvonne Moriarty; many treasured nieces and nephews; and beloved pet, Heidi. Viewing will be held on Thursday, November 15th from 6:00 to 8:00 PM at the Mount Laurel Home for Funerals, 212 Ark Road, Mount Laurel. Mass of the Christian burial will be celebrated 11:00 AM on Friday, November 16th at Saint John Neumann RC Church, 560 Walton Ave, Mount Laurel, NJ. Interment will follow at Brigadier General William C. Doyle Veterans Memorial Cemetery in Wrightstown, NJ. In lieu of flowers, memorial donations may be made to the Semper Fi Fund at semperfifund.org. With deepest sympathy to Irene and family. Rest in peace Uncle Ed. I love you and will miss you. Your niece Maureen. We are sorry to hear about uncle Ed. You are in our thoughts and prayers at this time. We are so very sorry for the loss of Mr. Moriarty. Sending you all our love and heartfelt compassion during this time. We hope these flowers provide some light in these dark times. We know how much everyone will miss Ed, but know that you had the privilege of having him in your life for all these years! 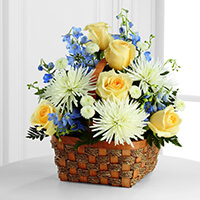 We hope this will help ease the pain of your loss!